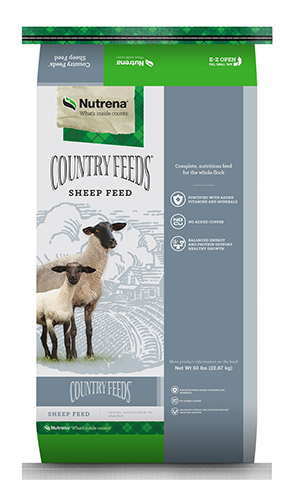 This medicated supplement id designed to be fed to growing and finishing lambs. Medicated for the prevention of coccidiosis caused by Eimeria ovina, Eimeria crandallis, Eimeria ovinoidalis (Eimeria ninakohlyakimovae), Eimeria parva and Eimeria intricata in sheep maintained in confinement. Feed as directed. Feed continuously at the rate of 1.0 to 4.66 lb per head per day to provide not less than 15 mg nor more than 70 mg Lasalocid per head per day depending on bodyweight. CAUTION: The safety of Lasalocid for use in unapproved species has not been established. do not allow horses or other equines access to feeds containing Lasalocid as ingestion may be fatal. Mix thoroughly with grain and/or roughage prior to feeding. Feeding undiluted or mixing erros may result in excess Lasalocid concentration that could be fatal to cattle and sheep.